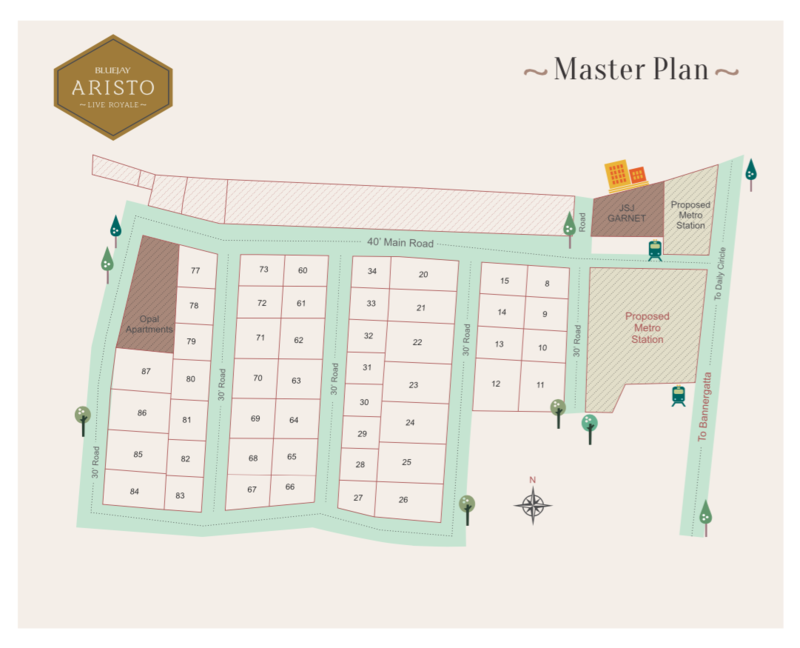 Bluejay Aristos by Bluejay Enterprises(P) Ltd.
Bluejay Enterprise a prominent real estate developers is coming with a pre-launch project known as Bluejay Aristos, this project is aimed to attract mid-segment customers with luxurious project plan. It is planned to come up in Jayanagar, South Bangalore which is one of the most sought residential location of Bangalore. This well planned project is coming up over of 4.5 acres area consisting of 45 luxurious units with varying dimension of 2000 Sqft, 4000 Sqft and odd sites. The project has received an approval form BDA and all the facilities will be provided for the residents which includes internal avenue lined roads, paved roads, functional layout plan,landscape garden,concealed powered lines, underground sewage system, pedestrian paths, street lights, 24 hr security,CCTV surveillance etc. Jayanagar being one of the commercial hub is also an added advantage to the residents as the place will be very well connected to other major parts of city like Bannerghatta Road, Tavarekere, BTM Layout, JP Nagar, Banashankari 1 st stage,South End Circle, Lalbagh Botanical Garden (Wilson Garden) etc.,. The location is also home for various standard educational insitutes, hospitals,Shopping malls,IT companies. Paved Roads,Treeline Avenues,Landscape Garden,Functional Layout Plan,Concealed Powered Lines,Underground Sewage System,Internal Avenue Lined Roads,Pedestrian Paths,Street Lights,CCTV Surveillance,24 hr security. Bluejay emergence as one of the leading real estate companies and most trusted realty brand in Bangalore is not something unexpected. While Bluejay is fast developing top class luxury lifestyle for people in Bangalore by its township, villa, apartment and residential plotted projects, the company also constantly engages itself to envision projects that touch across the real estate market. Our aim at Bluejay is not just about transforming Bangalore Real Estate by developing projects, we are more keen to contributing to the development of country’s infrastructure and helping citizens in finding their dream homes. The journey of Bluejay began in 2010 with an ambitious vision with strategic land banks across Bangalore. We started with a well-designed mid-size apartment in west Bangalore. And in a short time, we developed one of the largest BDA residential layout in Bangalore comprising of more than 120 acres within BDA limits. Our constant endeavor has been to create classy residential spaces that eventually qualify as assets of inheritance to their next generation. As we said, we love building and the act of creation. We take charge of our projects with utmost passion and execute them with unparalleled dedication. So far, we may have developed over 5 million sft of residential property with a customer base of over 1000 satisfied happy families. And we feel we have just begun. Our current projects are spread in Bangalore from north to south, so it will be easy to find your desired residential plots or villas in the heart of our beloved Bangalore City. We have commissioned one of the largest BDA approved integrated township project sprawling over 100 acres on Tumkur Road called Bluejay Sunshine Hills, with 10 acres of Sports Arena and World class club house with latest amenities and eco-friendly features. We are on the verge of completing our Bluejay Nine Forum project, a 99 luxury villas built on 9 acres of pristine land which is 9 km from Forum Mall Koramangala. 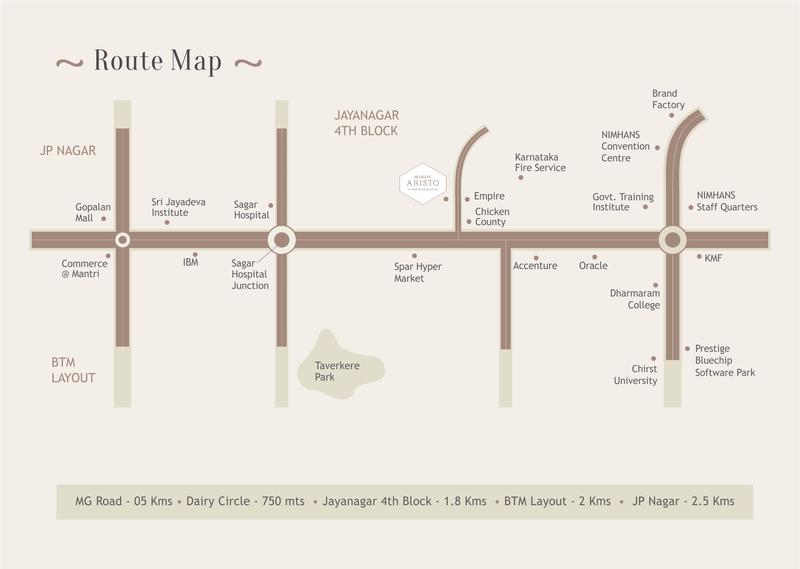 And we are paying tribute to the fictional town Malgudi in form of 3 BHK earthen villa project on Kankapura Road. We have also made sure that Mysore Road has got its best residential plotted development property with world class amenities called Bluejay Ardley. All our projects are based on international standards and inspired by world-class lifestyle. You will feel the lavishness and comfort at each and every step in our properties. Be it strategical locations or strict adherence of eco-friendly features & strong emphasis on environmental management, we are always on track. We have recently planted over 10000 trees in Bluejay Sunshine Hills project that lets the residents breathe the fresh air. Such acts and works have helped us promote the green environment and have helped us gain admiration from our customers.